The Erskine Fire started on June 23 and consumed more than 48,000 acres. The Blue Cut Fire started on Aug. 16 and consumed more than 36,000 acres. Wildfire season in Southern California is now year-round. Southern California’s wildfires are no longer limited to a season, but are now year-round. Five years of drought, exacerbated by a bark beetle infestation, have resulted in fast-moving fires both in the Sierras and San Bernardino Mountains. 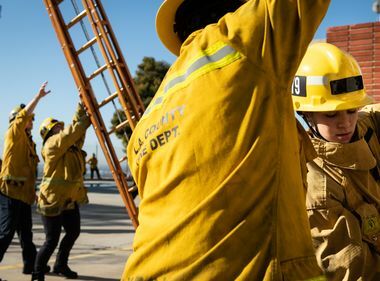 Southern California Edison crews have been dispatched to some of the biggest wildfires in memory this year, from as far north as Mammoth to San Bernardino’s Cajon Pass. As our first responders, hundreds of SCE employees have dedicated numerous hours to these wildfire response efforts. The crews' initial job is to de-energize power lines and clear the way of downed poles and equipment for first responders. 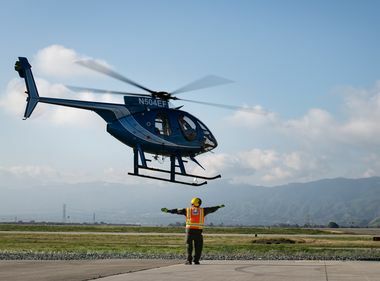 When fire officials say it is safe, crews begin the difficult job of quickly and safely restoring power to some of the remotest areas in the region. 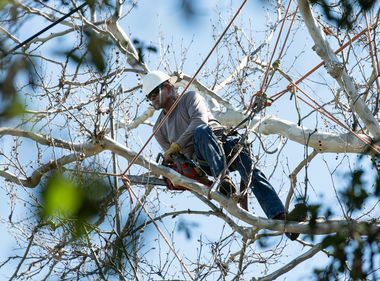 So far crews have replaced hundreds of power poles, transformers and downed lines damaged in this year’s fires, helping restore power to residents and businesses as they resume their lives after the devastation.